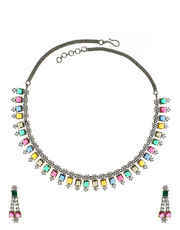 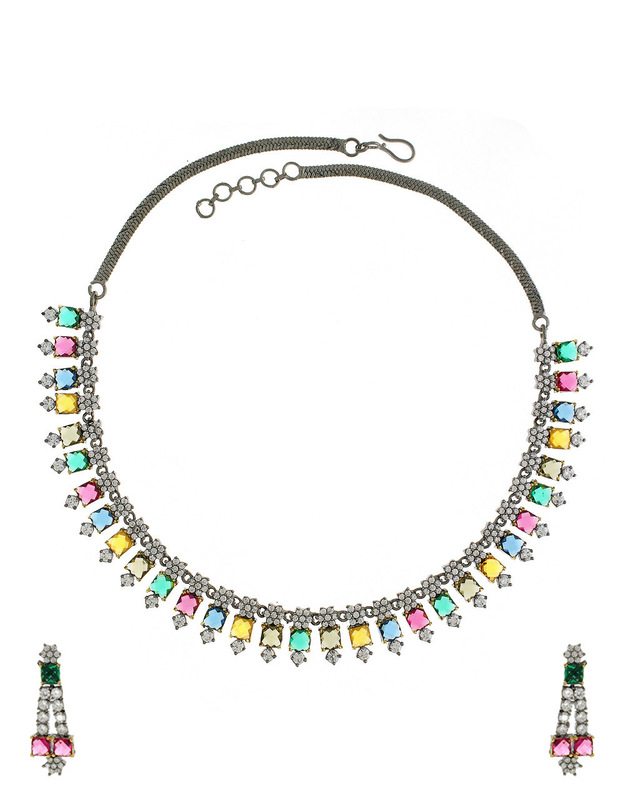 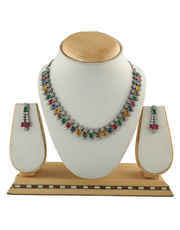 Create your different fashion statement by adorning this multi colour beautiful necklace set with your party attires. 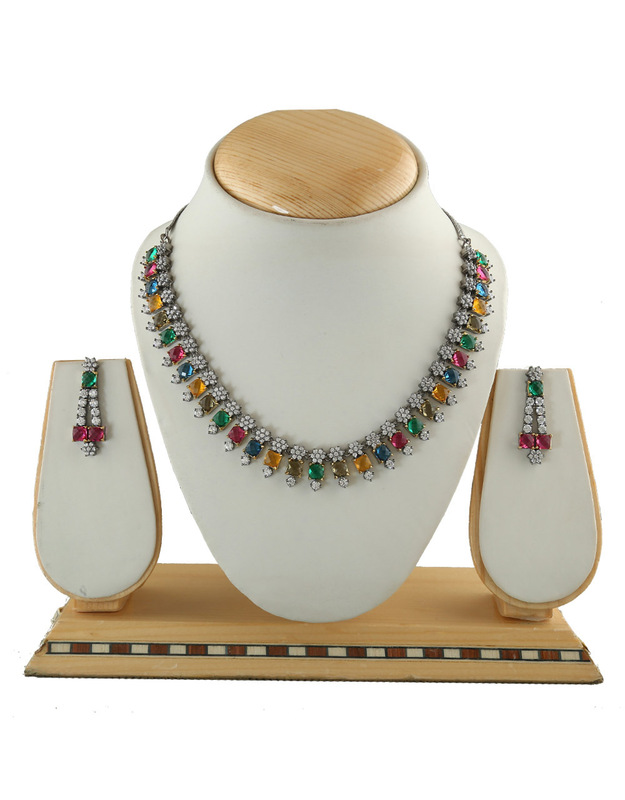 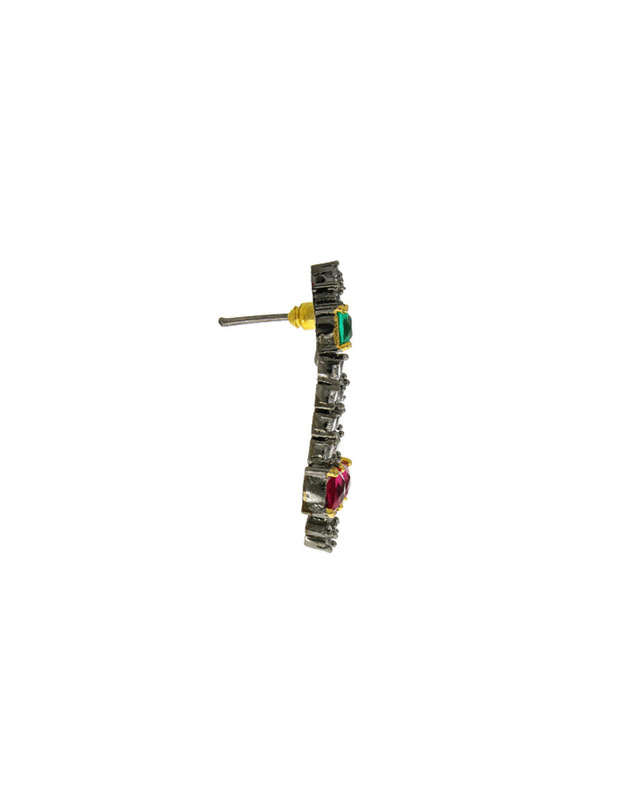 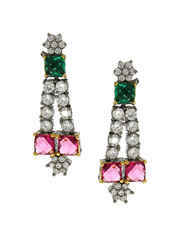 It is incorporated with precious American diamonds along with multi colour stones and fashioned from Victorian polished metal. 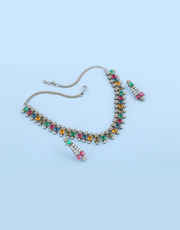 This antique finished necklace is good in quality and skin-friendly as well. So buy now!